We got our first look at The Little Stranger back in December of 2017. Now, a couple of months away from its release date, Focus Features has put out the poster and the trailer. Thanks again to my friend Teresa Cambell for shooting me a tweet sharing them. A fan of Domhnall Gleeson and everything Irish, you can follow Teresa on twitter @IrishGalTeresa. I love how some of you do that, send me book2movie news knowing I’m a bit obsessed with screen adaptations, helping me to stay up to date. Thank you! The movie which stars Domhnall Gleeson, Ruth Wilson, Charlotte Rampling and Will Poulter is based on the excellent book by Sarah Waters. I planned on linking back to my review but I stupidly didn’t write one immediately after reading the book. Now it’s mostly gone, whoosh, straight through my swiss cheese head but I’ll try to write up my thoughts as best I can in another post. I can say it’s a long, delicious book which spends a lot of time building the characters and their relationships and with Dr. Faraday’s thoughts about the house where his mother worked when he was a boy. While the house is haunted in a manner of speaking, there is so much more going on. From what I see in the trailer—and what I’d expect—is much more emphasis on the ghost story. 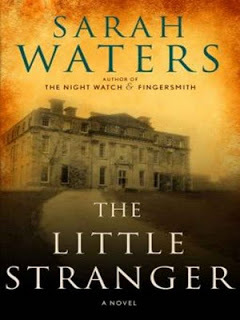 “THE LITTLE STRANGER tells the story of Dr Faraday, the son of a housemaid, who has built a life of quiet respectability as a country doctor. During the long hot summer of 1947, he is called to a patient at Hundreds Hall, where his mother once worked. The Hall has been home to the Ayres family for more than two centuries. But it is now in decline and its inhabitants - mother, son and daughter - are haunted by something more ominous than a dying way of life. When he takes on his new patient, Faraday has no idea how closely, and how terrifyingly, the family's story is about to become entwined with his own. 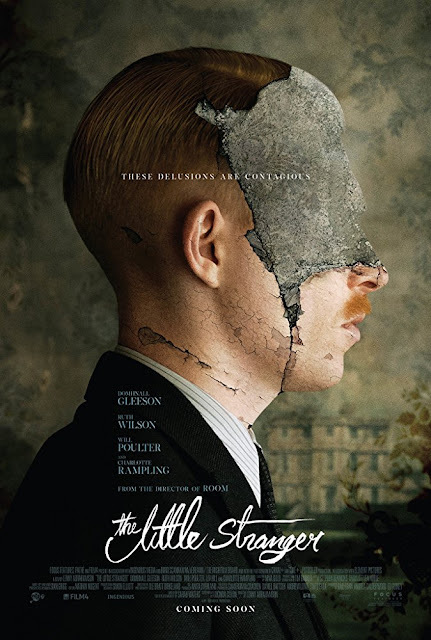 The Little Stranger directed by Lenny Abrahamson (Room) is set for release on August 31. Let’s watch the trailer. Have you read the book? I hope you’ll give it a go before you go see the movie.